Beekeeper Steve Ellis loves the spring time, he loves seeing his bees set off to go foraging. Except over the last few years more and more of his beloved little friends like bees all around the world are simply not returning home. Ellis like many beekeepers is personally attached to his bees, so he finds it very hard that his bees are suffering this fate. Ellis along with other beekeepers across America have asked the government step in and put a ban on some of the most used pesticides until more tests have been done so we know the effects it is having on bees. Ellis along with other beekeepers thinks that the pesticide is a leading cause in Colony Collapse Disorder (CCD). Jeff Anderson who is also a beekeeper insists that they are only asking the EPA to do their job and nothing more, they want them to give them products that will bring no harm to there bees. Beekeepers are arguing that back in 2003 the EPA did not fully field test the pesticide before they gave it the ok for commercial use. The EPA see nothing wrong with their tests, but have agreed to speed up its routine review of the pesticide to make sure that the pesticide is ok. Problem with this it possibly will not be until 2018 and for many beekeepers this is simply too late. It is important to mention that both beekeepers and scientist are claiming that these pesticides are the only cause of CCD, it without doubt is a huge epidemic that needs to fixed now before it is too late. It is estimated that around 90 percent of the nations crops use pesticide, so the fact that the EPA testing may not be complete until 2018 is very worrying indeed. Once the proper research has been done at least then beekeepers like Steve Ellis will be able to find a way to fix this problem. Is Honey without Pollen a True Honey? 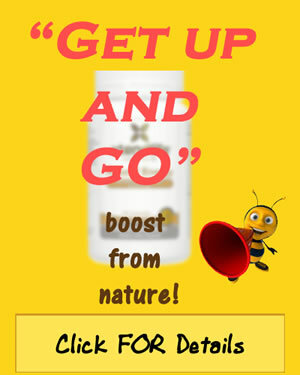 BeePollenHub.com is a participant in the Amazon Services LLC Associates Program, an affiliate advertising program designed to provide a means for sites to earn advertising fees by advertising and linking to Amazon.com, as well as other affiliate companies. C© Copyright 2012-2015, Bee Pollen Hub.